Under the new rules, regional players with smaller planes would be exempt from landing charges and need to pay only 4% as sales tax for fuel purchase. Existing carriers say this is bad news for them. The proposed entry of at least four aviation start-ups that aim at operating in different regions of the country could further delay the break-even at existing airlines, which had made a combined loss of about $500 million (nearly Rs2,000 crore) in fiscal 2007 due to excess seat capacity and high fuel costs. Domestic carriers say the lower tax paid on fuel by regional airlines and the likely aggressive pricing of their tickets can only spell bad news for them. The ministry of civil aviation recently announced new rules for airlines planning to start regional operations between smaller cities or connecting towns with India’s large cities with small planes, typically turboprops or small passenger jets made by Bombardier Inc., Empresa Brasileira de Aeronautica SA or Embraer, and Sukhoi Aviation Holding Co., that can seat up to 100 passengers. 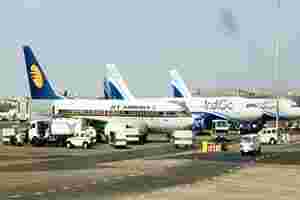 The policy specifies that these airlines can operate from one metro airport in each region except in the South, where they have been allowed to fly between Chennai, Hyderabad and Bangalore. A top executive at one of these companies admitted his peers would likely offer low fares as a means to acquire market share. The fare reduction, said Muhamin Saidu, chief executive of Emric Aviation, would be “based on services offered". He declined to elaborate. But a senior executive at a national airline said he expected regional carriers to follow the strategy of any other entrant. “Like any other new player coming into the market, these new set of players will be dropping fares. They could also deploy better airplanes in select metro routes. Tax benefits and lower operating cost will enable them to offer cheaper fares," he said, requesting not to be named. Kingfisher Airlines Ltd’s executive vice-president Hitesh Patel admitted the entry of regional airlines would have an adverse impact on domestic carriers as they have a lower operating cost. “Under the aegis of our association, Federation of Indian Airlines, or FIA, we will approach ministry of finance to lower the fuel sales tax to have a level playing field," Patel said. According to aviation guidelines, airlines flying planes with less than 40,000kg weight need not pay landing charges at airports and need to pay only 4% as sales tax for fuel purchase. The sales tax on fuel for bigger planes is as high as 33% and fuel cost alone constitutes more than 37% of the operating cost of an airline. Although some airlines have turboprop fleets, such planes are handicapped when the routes are long-haul ones. ATRs are suitable for short-haul flights of less than one hour. “But if a carrier is trying to explore metro to metro and other slightly long routes, regional jets are going to be ideal in terms of operating cost and less travel time," a senior executive at one of the country’s largest domestic airlines said. For instance, Embraer planes can fly routes as long as two hours. At present, Paramount Airways Pvt. Ltd operates an Embraers-only fleet, while JetLite, formerly Sahara Airlines Ltd, uses Bombardiers. With at least two-three regional airlines likely to start up in each Indian region, “competition from regional airlines to existing carriers is a reality," said Kapil Kaul, CEO of Indian Subcontinent and Middle East of Centre for Asia Pacific Aviation, a leading consulting and research firm. “They may not be competing in the Delhi-Mumbai route, but certainly it will pose competition in all other routes including small feeder routes." But domestic carriers have more ATRs joining their fleet. Kingfisher Airlines has placed an order for 35 ATR planes while its affiliate Deccan Aviation Ltd is buying 30 ATRs. Jet Airways (India) Ltd is also buying an additional 13 ATR planes. Jet Airways executive director Saroj K. Datta admitted there could be “some" impact as a result of increased capacity, if these regional players are coming into the existing routes. Indian carriers have approximately 480 aircraft on order for delivery up to 2012, against a fleet size of 310 aircraft in the country today.